Property in Faridabad | 9911-22-6000 | PURCHASING AND SELLING THE RESIDENTIAL PROPERTY IN FARIDAABD NEVER BEEN THIS EASY! 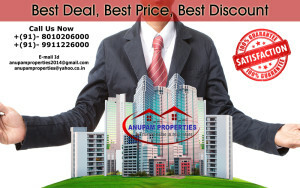 In Faridabad ANUPAM PROPERTY is one of the most popular name and as the days are passing its reputation is on a steady increase. We are enhancing ourselves in every aspect to meet the necessities and prerequisites of the customers specially in Residential Property in Faridabad. The way we deal and provide the customers everything that they want, lets them know our passion towards the job and also the resilient hold which we have in the real estate industry. We are totally concerned about the hard earned money and help you to invest in a property which is worth every penny that you put in. We are basically like your guide who assist you in purchasing the right house and sell the house you want to in the right manner. Many reputed Developers in Faridabad like Ansal Buildwell, Crown Group, BPTP Group, Omaxe Group, SRS Real Estate Group, RPS Group, Shiv Sai Infrastructure, Puri Group, Piyush Group, Piyush Group, Uppal Group and etc presents various residential projects like BPTP Parklands Plots, BPTP Park Floors, Omaxe Heights, Uppal Jade, Puri Pranayam, SRS Royal Hills, SRS Residency, Puri Pratham, BPTP Princess Park, RPS Savana, RPS Palms, SRS Pearl Floors, KLJ Greens, BPTP Grandeura, KLJ Platinum Plus, HUDA Plots, HUDA Kothi, HUDA Floors in Faridabad, SPR Imperial Estate, Floridaa, Adore Happy Homes, Amolik Heights, Auric City Homes Flats in Faridabad. The appointments between buyer and seller are well organised. Experienced agents help you meet your requirements. 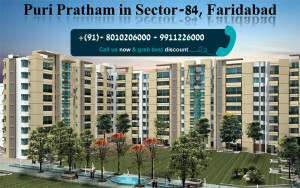 SRS RESIDENCY Apartments in Faridabad is located in Sector 88, Faridabad. It delivers the inhabitants flats which have the exceptionally proficient infrastructure. The residential property of apartments are obtainable with varieties such as 2Bhk Flats, and 3Bhk flats and further these flats are alienated on the root of area. The amount for these SRS Residential flats in Faridabad is fixed at a rate that is equitable for everybody and offers the dwellers a standard of living that they have only fantasized of until now. These exceptional SRS Residency flats are equipped with contemporary amenities with the assistance of advanced technology. The international airport is located nearer to the SRS Residency Apartments in Faridabad and is just an hour’s drive from these flats and there are abundant other benefits on the basis of conveyance because of the locality of the apartments. There are various other amenities like children’s park, pools, recreational clubs and etc. It is the correct choice as it provides a comfortable lifestyle with a price that is economical. As we all are aware that there are thousands of residential projects in Delhi NCR region who promises of providing luxurious living, but very few of them have been able to deliver what they promise. RPS Group is recognized for providing what they promise. RPS Palms Floors in Faridabad is the high end residential property of RPS Group which delivers a true luxurious living at a very reasonable price. 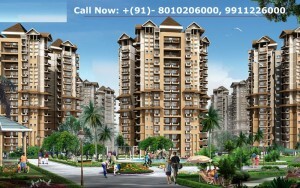 This residential property in faridabad offers 3 BHK and 4 BHK floors with different size from 270 sq. yd to 425 sq. yd. All the towers are Ground +2 but the most attractive part of this deluxe low rise apartment is that all the units in RPS Palms Floors in Faridabad are park facing with ample parking space and ultra modern facilities like 24 hour security, power backup and water supply. When it comes to connectivity and convenience, this project enjoys the location advantages as banks, ATM’s, schools, colleges, hospital, malls, markets etc are in close proximity. We all know owing a home that too a home which is perfect and just like as we want it to be is difficult and is not a cakewalk, but PURI PRANAYAM Flats in Faridabad has made it simpler and easier. Puri Pranayam Apartments in Faridabad provide the customers a place which is filled in with nature’s beauty and other all amenities to reside in. Puri Pranayam Flats in Faridabad have a wide spread area of 20 acres which is planned and developed by the leading development agencies. 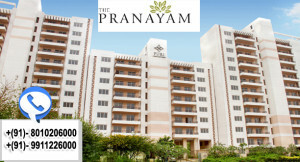 The Puri Pranayam Apartments in Faridabad is a Residential Property that are available are facilitated with each and every modern facility that is possible. These residential project of luxury flats also have the facility of 24 hour security, swimming pool, recreational centres and etc. The flats are well connected to the city and other commercial centers. We see to it that the money invested by the clients are never gone waste. Due to the dynamic services that we have been providing we are now one of the leading real estate agencies. ANUPAM PROPERTY was established in 1998 and ever since then it has been providing customers its services in a dynamic way. We help the customers to obtain the house that they have always fantasized about and also assists them to sell the property they want. When you think of buying or selling a Residential Property in Faridabad then the only answer to it is ANUPAM PROPERTIES in Faridabad. We are one of the leading real estate dealers in Faridabad and are linked to various well known developers like Ansal Buildwell, BPTP Group, Crown Group, Omaxe Group, RPS Group, SRS Real Estate Group, Shiv Sai Infrastructure, Piyush Group, Puri Group, Piyush Group, Uppal Group and etc having various residential properties like BPTP Parklands Plots, Omaxe Heights, BPTP Park Floors, Uppal Jade, SRS Royal Hills, Puri Pranayam, SRS Residency, BPTP Princess Park, Puri Pratham, RPS Savana, SRS Pearl Floors, RPS Palms, KLJ Greens, KLJ Platinum Plus, BPTP Grandeura, HUDA Plots, HUDA Floors, HUDA Kothi in Faridabad, SPR Imperial Estate, Amolik Heights, Floridaa, Adore Happy Homes, Auric City Homes Flats in Faridabad. We Anupam Properties have a team of highly knowledgeable, experienced and skilled staff who provide exceptional services. We know the value of each and every penny that you are investing and therefore, only provide the best of the lot. Developed in Sector 82 of Faridabad, Residential Project Auric City Homes is becoming a new landmark of that region. With schools, hospitals, banks, markets all are in close proximity this residential property enjoys the location advantage. Auric City Homes Flats in Faridabad offers different flat sizes for different family requirements. It offers 1 BHK at the most reasonable price of 13.31 lacs and 3 BHK for 25.98 lacs. This residential project auric city homes flats in Faridabad is the most sought after project for the people who are looking for a luxurious apartment at an affordable price because Auric City Homes Apartments offers excellent lifestyle with world class facilities at a very reasonable price and this is what makes Auric Group different from others. Having enough lush green areas and parks to provide you a peaceful time when you are home. It has entertainment facilities for our young ones too. Auric City Homes Apartments in Faridabad takes care of the requirements of the people of all ages and different preferences.